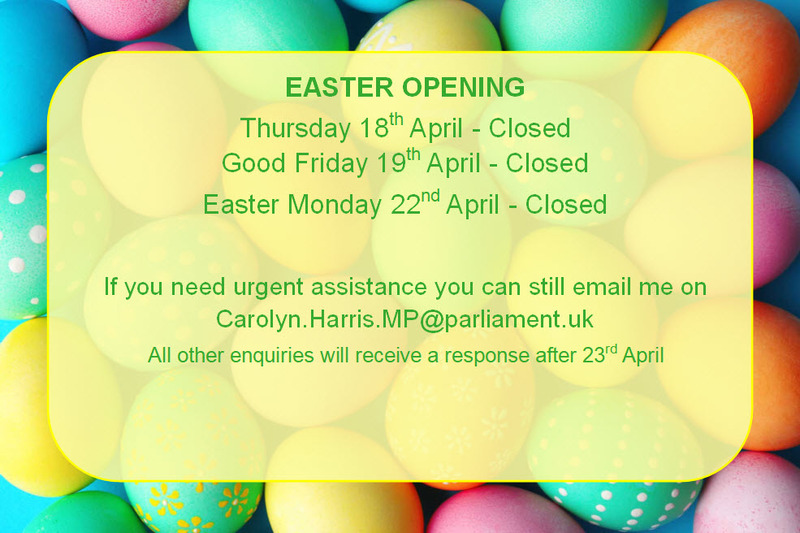 My constituency office will be closed for Easter weekend from Thursday 18th to Monday 22nd. As ever, you can still email me on carolyn.harris.mp@parliament.uk for any urgent enquiries. All other emails will receive a response after 23rd April. Please be aware that Friday 19th and Monday 22nd are Bank Holidays, meaning that timescales for responses from government departments will be affected. 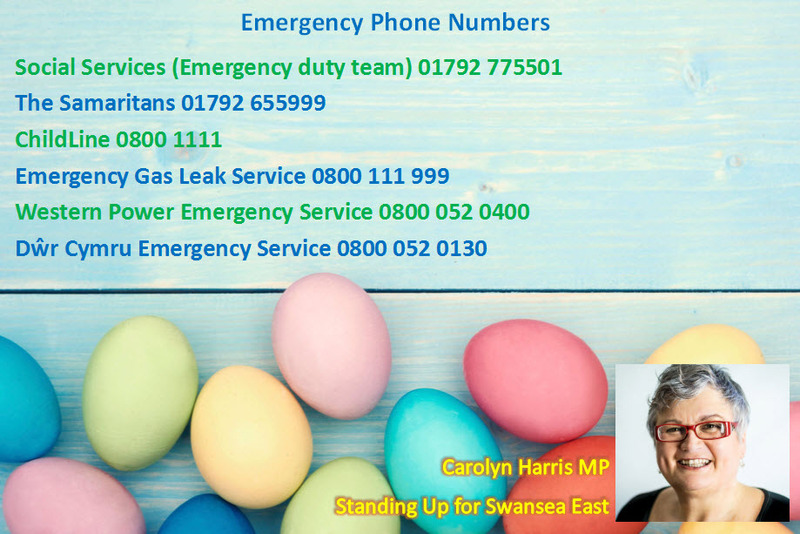 Here are some emergency numbers to make note of over Easter weekend.